(23139.G239, John Dunning Political Collection, OHS). Professional engineer, inventor, and industrialist John Smith Zink was born to John Steele and Swannie Estelle Smith Zink on October 17, 1928, in Tulsa, Oklahoma. The elder Zink, a chemist for the Oklahoma Natural Gas Company, in 1929 founded John Zink Company to manufacture oil and gas combustion units. His son, John Smith "Jack" Zink received a bachelor's degree in mechanical engineering from Oklahoma State University in 1951. He joined the business, which by then focused on manufacturing burners, flares, and incinerators for the oil and gas industry, and ran it from 1962 until 1979, before it was sold to Sunbeam Corporation. In 1979–80 he established a second combustion unit company, Zinkco, Incorporated, now called Zeeco, Incorporated. Its corporate headquarters remained in Tulsa but installations were set up Europe, Asia, and India. Over the course of his career Jack Zink (sometimes known as John Zink, Jr.) received thirty-five patents on combustion-related equipment. An avid sportsman, Jack Zink was nationally known for his involvement in race-car design, construction, and competition. His father had sponsored a car in the 1950 and 1951 Indianapolis 500, and the younger Zink followed with his own car in 1952. He drove them, as well, and in 1957 set a stock-auto speed record at Daytona Beach. Entered in every Indy 500 from 1952 to 1967, his cars won the race in 1955 and 1956 and also won thirteen Championship Series races from 1955 to 1966. He was inducted into the Auto Racing Hall of Fame in May 2004. Also competition-minded in his politics, Zink unsuccessfully contended with Don Nickles to be the Republican nominee in the race for Henry Bellmon's U.S. Senate seat in 1980. Zink was renowned for his philanthropic efforts. As chair of the John Zink Foundation, he oversaw the John Zink Ranch, which his father had established near Sand Springs, Oklahoma, in 1945. Expanded over several decades to encompass thirty-one thousand acres, the ranch is a private recreation area and game preserve. It also provides camping facilities for boy and girl scouts and features a museum full of Zink's race cars. 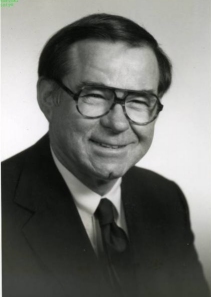 Zink's charitable activities and public service earned him dozens of awards. He received the Boy Scouts of America Silver Beaver and Buffalo awards and in 1985 the Henry G. Bennett Distinguished Service Award from OSU. He was inducted into the Oklahoma Hall of Fame in 1989. Numerous boards and commissions that benefited from his leadership or membership included the Indian Nations Council of the Boy Scouts of America, Oklahoma Wildlife Commission, Tulsa County Fairgrounds Trust Authority, Tulsa River Parks Authority, and Tulsa Area United Way. John Smith Zink died in Tulsa on February 5, 2005. Tim Ashley, "Zink Ranch a Natural Paradise," Tulsa (Oklahoma) World, 14 October 1998. Glenn Hibdon, "An Open Wheel Genius," Tulsa (Oklahoma) World, 24 May 1998. "John Smith Zink," Vertical File, Research Division, Oklahoma Historical Society, Oklahoma City. Dianna Everett, "Zink, John Smith," The Encyclopedia of Oklahoma History and Culture, https://www.okhistory.org/publications/enc/entry.php?entry=ZI002.